Decorating is not a stagnant art. The process of creating inspiring, beautiful spaces is a living form of creation, which has to accommodate the changes of the world around it in order to stay relevant. In its most general context, this can involve changing the space up to accommodate the disparate needs of the people who live there. However in a broader way, you can actually decorate your home in such a way that it reflects the nature of the changing world outside its walls. Your rooms can be reflections of the seasons, symbolic mirrors of the constant flux of temperature and weather which occurs in the natural world. This can be done in a variety of ways. 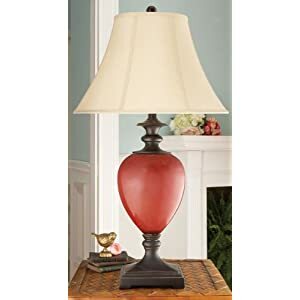 Home décor items can often be purchased according to seasonal themes. 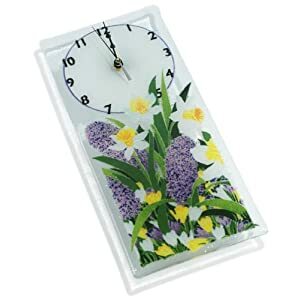 Pieces such as wall clocks, drink coasters, and decorative plates can be printed with a variety of pictures that can evoke any time of the year. Since they are small, items such as these can be easily shifted into and out of a room from storage as the annual need arises. One easy, natural way to do this is to simply have seasonal magazines spread throughout a space, either strewn across a coffee table, or placed neatly in a magazine rack. Items such as pillow or couch covers are another way to quickly change your home to match the nature of the world outdoors. Find these printed with a variety of holiday themes, or even just seasonal colors and patterns that make it easy for your home to flow with the natural colors of that time of the year. One thing you should consider when working on seasonal decorating is texture. It is warmer in the summer and cooler in the winter. Your home should try to accommodate these factors. In colder months, have a variety of warm, soft blankets strung throughout the house. Couch and pillow cushions should be fluffier at this time of the year. Carpets should be thicker and warmer. In general you want the home to be as snuggly as possible. In warmer months however you want to go in exactly the opposite direction. Blankets should get lighter and lighter the warmer it gets, and you may eventually have to put them away altogether. Fluffy cushion covers or rugs should be replaced with items made from much lighter materials. You want to emphasize cool, smooth, sleek textures during the warm summer months. vases, or even just have bowls of silk flower petals for an attractive, aromatic display. As you feel the months getting colder, switch from decorating with flowers to using brightly colored leaves, or branches of fir trees and pieces of holly. Seasonal decorating is a great way to keep your home feeling fresh, vibrant, and relevant. It ensures that the look of the space won’t grow stagnant, and that you will always have an inspiring and invigorating atmosphere to come home to.